Keeping up with a tradition almost as old as advertising itself, the price shown isn't quite the price you pay, but it's still interesting that the magic number of £1000 was a significant barrier to cross and worth shouting about. 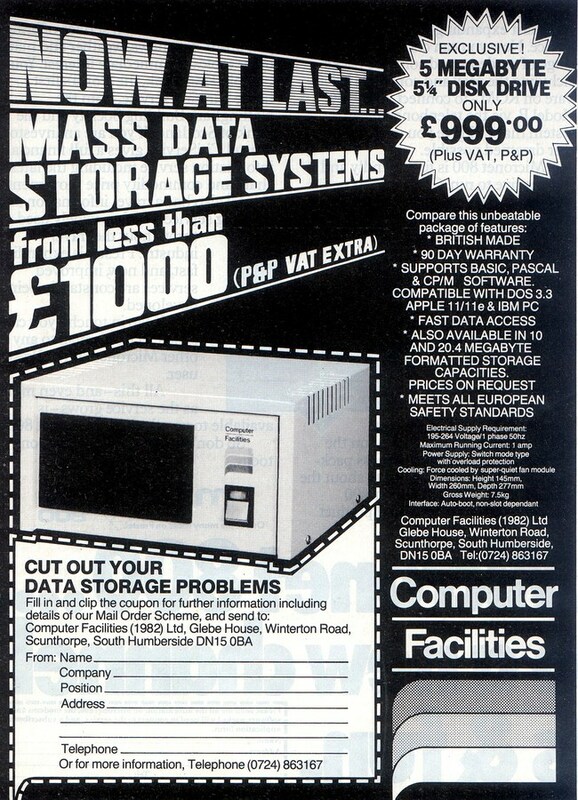 So for £4,800 in 2012 money, you could buy a 5MB hard disk. At £960 a meg, a 2012 2TB drive would cost an implausible £1.92 billion if cost per megabyte hadn't fallen somewhat in the intervening three decades.